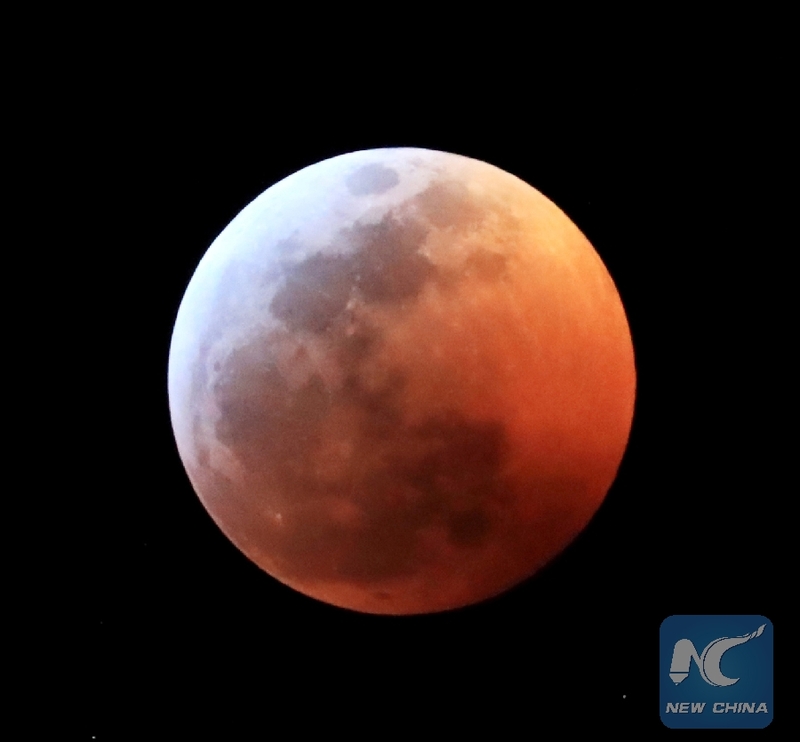 LOS ANGELES, Jan. 20 (Xinhua) -- Stargazers across California watched the full moon slip into the Earth's shadow during an eclipse on Sunday night. 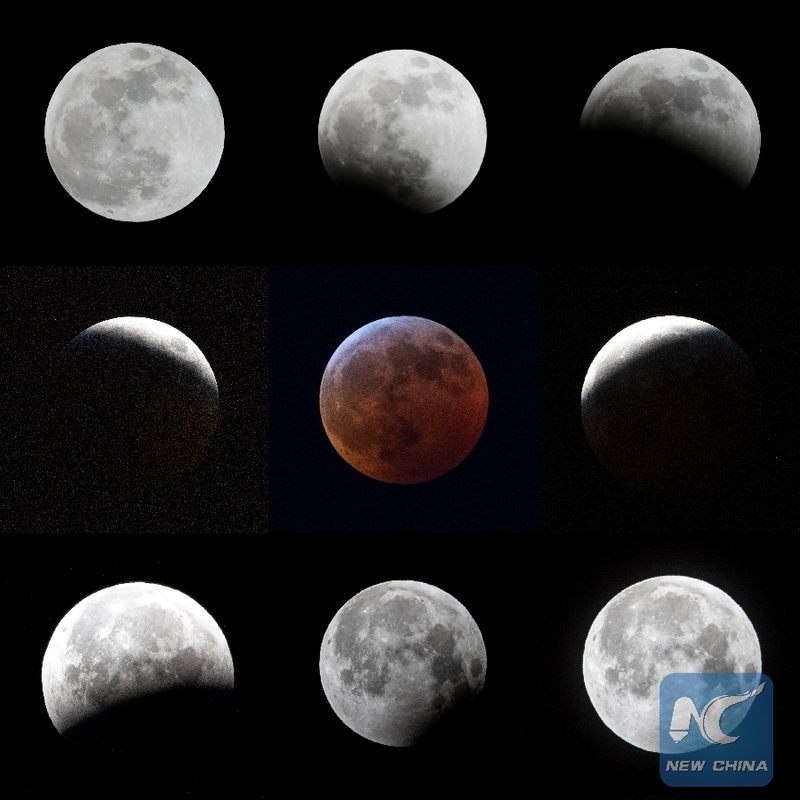 The total lunar eclipse started with a partial phase at about 7:33 p.m. PST Sunday (0333 GMT, Monday) when the moon began to enter Earth's shadow, about 19 degrees above the eastern horizon. 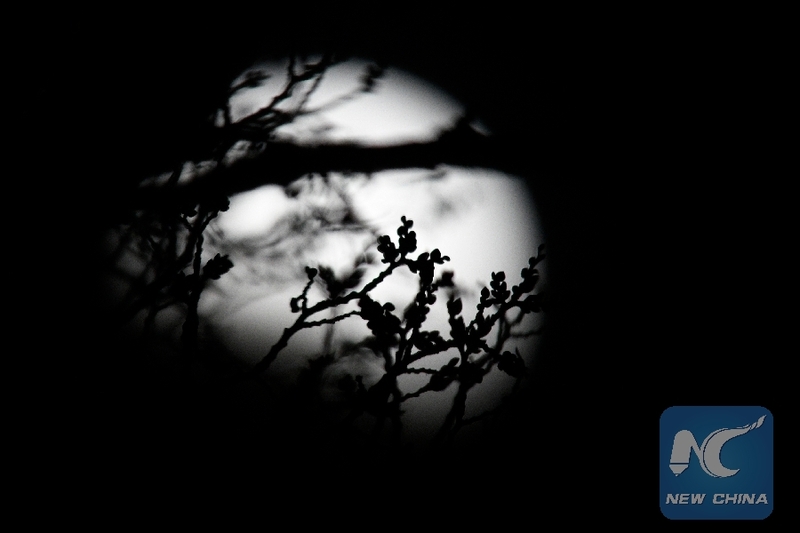 At 8:41 p.m. PST (0441 GMT, Monday), the moon was completely inside the umbra, marking the beginning of the total lunar eclipse. The total process took about three hours. Eclipse happens when the moon, Earth and the sun are lined up and on the same plane -- allowing for the moon to pass through Earths shadow.